2017 Black Friday 3D Printer Sale Starts NOW: Shop Amazing New Specials on AXIOM Printers! 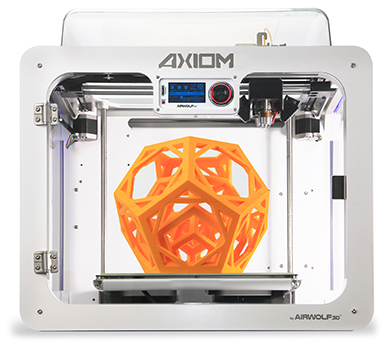 Home » Blog » Black Friday 3D Printer Sale Starts NOW: Shop Amazing New Specials on AXIOM Printers! 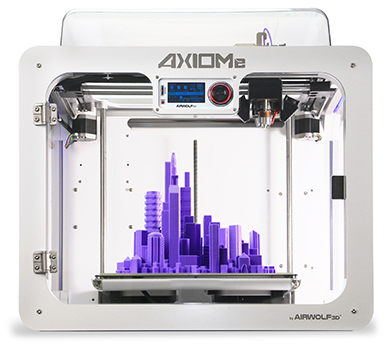 Get a jump start on Black Friday and get that new AXIOM 3D printer for your shop, lab, office, or home. The best 3D printer promotion of the year, this is your chance to get up to 16% off the award-winning AXIOM series, voted Best 3D Printer of the Year! 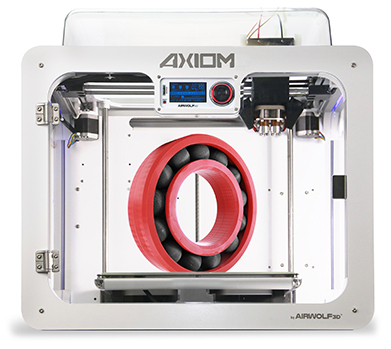 Get Airwolf 3D’s flagship printer (and “Wolfpack Favorite”) AXIOM Dual for only $4,495 (originally $5,195). Outfitted with all the bells and whistles that put Airwolf 3D printers head and shoulders above the competition, the AXIOM Dual crushes any challenge you throw at it. With two high-temperature, independently controlled hot ends, the AXIOM Dual is the best choice of desktop 3D printer for dual-color printing, multi-material printing, and taking advantage of printing with water-soluble support. Get the AXIOM Dual as part of the All-in-One System ($4,695, Reg. $5,400) and get everything you need to quickly produce prototypes or functional end-use parts. Get all the signature features of the AXIOM Dual, but with the simplicity of a single-head printer — and at a great price. The AXIOM Single is an absolute workhouse that is easy to use, but provides some seriously high performance. Choose an AXIOM Single 3D printer and immediately start 3D-printing in everything from flexible TPE and TPU to incredibly strong, high-temperature materials like ABS, polycarbonate, and polypropylene. Learn more about why the AXIOM Single will be your new favorite 3D printer. Originally designed for educational use, the AXIOMe features the same AXIOM series technology — but with an unheated bed. The AXIOMe is the top choice of 3D printer for schools not only because it is easy to use, but its patented enclosure and unheated bed make it a safe choice for little hands and curious minds. The AXIOMe is also the industry’s leading desktop 3D printer for printing in low-temperature materials like TPE and TPU. With its Direct Drive technology, the AXIOMe handles even finicky flexible materials with ease. If you do not need high-temperature printing, save money and choose AXIOMe at an unbeatable price.